Waking up this morning was a good thing. My shunt besides reacting to the weather outside, also adjusts to whenever my head moves. When moving up and down whether its from the floor to standing up or walking up and down a flight of stairs, I can feel the shunt adjusting pressure inside my head. This is not fun and results in me feeling more grumpy and irritable. I almost collapsed yesterday when brought groceries up the stairs. Upon entering my kitchen, I felt dizzy and pressure inside my head. I held onto a wall to keep myself steady. This was around 7pm last night. I went to bed after and at 1am, as usual, there was pain on the shunt valve. I do find putting my head down to be helpful even if momentarily. There have been days when I've felt nausea in my stomach, most likely from the programmable shunt. These artificial devices although helpful, sometimes aren't compatible with our bodies. Not saying my shunt is not working, it is, which I am grateful. I'm convinced because it is a magnet and temperamental, that my body still (four years later) is adjusting to the device. Surgeons don't know how your body is going to react to an artificial device until it's been implanted. Some people respond well, others don't. I've found music and exercise like Pilate's has helped with some of my pain management. Listening to music helps me focus on something other than the pain with a combination of exercise to focus my attention on something else. 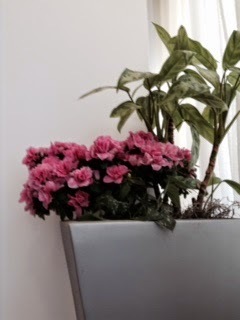 Plant in office waiting room. I found this week that my neurosurgeon will be going to another hospital. This also means I'll be assigned to another neurosurgeon. The neurosurgeon I had from 2015 to 2017, I had only seen him once for a consultation, as he didn't want to see me unless I was having surgery. 2014 again and I'm sure my neurologist will make sure that doesn't happen. I've been seeing the neurologist for the last three years who would then report how I was feeling to the neurosurgeon. Instead of doing research on the 'new' doctors who I may be assigned to, I've decided on something else. For me, it makes more sense to ask my neurologist to recommend a neurosurgeon whom I should see and ask her to advocate for me. I'm not going through what happened in 2009 and 2014 and My neurologist will make sure this doesn't happen. Stella on her 17th birthday: October 16, 2017. I had the chance to get some art done today, even if it was for a short period of time. Usually depends on my attention span and ability to focus which varies. I've been feeling dizziness in my forehead the last few days too, most likely due to the shunt making it's adjustments. For example, when I bend down and stand up again, there is a rush of pressure in my forehead. The next time I'm in a social situation like a family gathering and I don't feel well because of my injuries/shunt I'll excuse myself to put my head down. 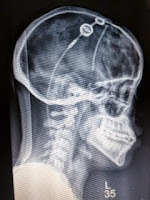 As mentioned in previous posts, since the shunt reacts to the weather, too bad I can't pick up on radio stations, order take out food or something with this ''advanced technology'' inside my brain. The weather's been so up and down it leaves me confused, brain spinning and makes me want to stay under the covers for long periods of time. My cat Stella has been sleeping outside my bedroom door at night. She picks up on my discomfort. Her hip is sometimes attached to my leg while I walk around the house. She insists on me sitting on the couch so she can park herself right by my side. Dear shunt, I hate you. X Ray image of my shunt from 2016. At least last weekend was better. This week my shunt has been misbehaving causing pain, throbbing sensations during different days. Today has been the worst day so far. 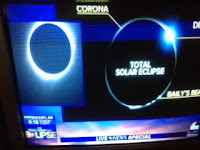 (aside from when the eclipse happened over the summer. ) I was up off and on during the early morning hours from shunt pain. The only reason why I didn't stay in bed with my head buried underneath a pillow was because I'm suppose to volunteer for a few hours this morning into the early afternoon. I hope I feel better when I return home later today. I checked the weather report and see there will be rain in my area this evening. As mentioned before, my shunt ( like many others ) predicts and reacts to the weather. I also have right eye pain this morning from the TMJ and some nausea from the shunt. At least the shunt is not beeping like it did in 2016. Snapshot of the t-shirt I received. Yesterday, I participated in a walk for literacy event in my area. I walked 10,661 steps, 4.05 miles which took about one hour and 28 minutes. I almost didn't go yesterday, as the head and shunt pain was bad in the morning, making me not want to get out of bed. The only reason why I made myself get out was because I had registered for the walk and made a donation. 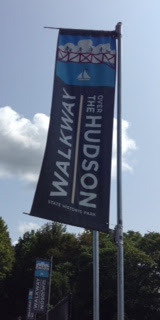 I'm glad I participated, as when the walk was over, my head and shunt pain was gone. This lasted until it returned for a short time in the evening until going away again. This morning, forehead and back of head pain returned. The shunt, for now, is behaving itself. I still have head pain about and hour after eating and taking pain reliever medicine, so I hope it will be either gone or greatly reduced by the afternoon. Yesterday, where I live it was very cold outside and windy. My shunt as usual, didn't enjoy the cold weather. I experienced all day pain from the shunt valve, down the side of my neck where the distal catheter and stomach. Since I didn't have to go anywhere I stayed home, found some movies to watch. I didn't attempt to do any art, as the pain in my head was really bothering me and made me grumpy. Today, I'm happy to report my shunt is feeling better. It's not as windy out as it was yesterday even though the temperature continues to drop. I was tempted to exercise yesterday, although I didn't because the pain was annoying me. Tomorrow, I'll get to walk in a literacy walking event at my local shopping mall. On Saturday, October 7, I walked with at least 100 people for Brain Injury awareness. I walked a total of 10,159 steps in 3.86 miles. I walked with one of my friends. Great to see so many people impacted by brain injury. When the walk was over, they served sandwiches, snacks and there was live music. I've been to my local brain injury support group in September. I went again earlier this week. There are other support groups in my area which I plan to attend. EYE UPDATE: I went to see my eye surgeon for a yearly visit and was told my eyes are in good working condition. No double vision except when my head is positioned differently like when I'm lying down. I do have some double vision when I look above my glasses, the doctor said this was a normal thing which happens because of the prisms inside glasses. Doesn't happen with contact lenses as the entire eye is covered. In March 2015, I had surgery to correct the double vision I had after my brain injuries. What's left of a rare pay phone at the park. I received a free shirt for registering early. 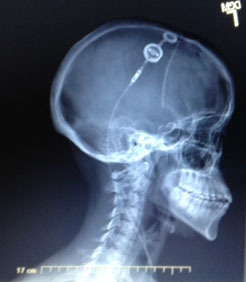 Image of my x ray with shunt. Either my shunt is adjusting itself.... maybe it's just being moody or anticipating the thunderstorm which should be arriving in my area on Thursday....There are a few days (if I'm lucky) where I can get relief from shunt pain and nausea. Then there's the scar tissue pain from what happened to me in 2014. 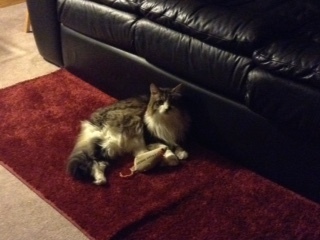 My cat Stella with her toy mouse. 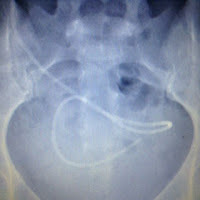 I was told by my neurologist the nausea from the distal catheter could be from the shunt adjusting. My neurosurgeon had said he didn't use ProGav shunt because they are temperamental and are always adjusting themselves. At least I had a good day yesterday....I still had some pain issues. I was able to keep busy with exercise and some social interaction. Today I am a little grumpy from the pain and discomfort. I may try exercise again as a distraction later. I find the endorphins help relieve the pain for a little while. My cat Stella knew I wasn't feeling well last night and early this morning, so she slept outside my door. 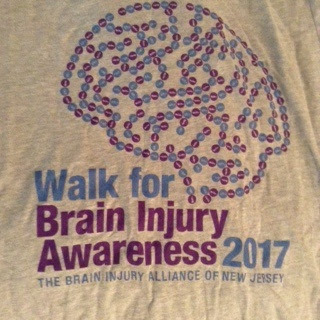 I walked today for the Brain Injury Association, they had an event near me. 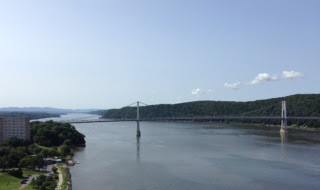 I had the chance to visit the Walkway Over the Hudson for the first time and got awesome views of the Hudson river and town. So nice to meet and talk to other people affected by brain injury. I look forward to other events in the future and volunteering with other brain injury groups. Happy accident with my camera where the lens 'split' the image. 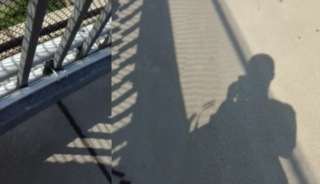 View of bridge from the walkway. View from television 13 minutes before Eclipse starts. Today I've had bad shunt and head pain since this morning. Pain down the distal catheter on the top of my head and stomach. Some forehead pain and shunt pain at different times during the morning and into this afternoon. 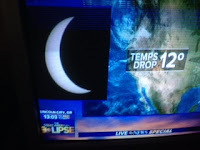 The solar eclipse is today so I suspect this has something to do with the ProGav misbehaving. In anticipation, Stella the cat and I are watching the eclipse on television this afternoon. still able to enjoy the visit. I learned this week from an online hydrocephalus support group, there was a programmable shunt recall as written by the Food and Drug Administration (FDA). A few months ago, (March 2017) the Medtronic StrataMR Adjustable Valves and Shunts were recalled due to causing possible severe injuries or death in the people who had them. The company which makes them, Medtronic, recalled the shunts/valves because they caused under-drainage of csf fluid in the brain. When under-drainage occurs it can cause buildup of fluid in brain cavities causing hydrocephalus. This was not the case, as I know I would've gotten a phone call from my neurologist if the model I have was recalled. I read another programmable shunt valve, the Codman Certas had been recalled in 2013. I'm all about advanced technology. I just wish there was a way of knowing what these devices will do inside someone's body. In my opinion, the programmable shunt valve is like a little robot. Sometimes I hear/feel it, other times I don't. I've learned over the last 3 years with this new device it doesn't like various types of weather (rain, cold, humidity). It's too bad my shunt doesn't work like Alexa. Reading about the shunt recall made me think about the film, Total Recall from 1990. At least I had a few good shunt days were I didn't feel the shunt at all. This all changed a few days ago once it started to rain and get all crazy fall like weather in the 'spring". I didn't volunteer today because I've been feeling nauseous, dizzy, and have had shunt pain throughout yesterday evening and into the early hours of today. Couldn't sleep on my right side (shunt side) too much because of discomfort and throbbing behind my right ear. Since this morning I've had pain from the distal catheter in my abdomen. Maybe the body is producing more csf than usual or my shunt is just being temperamental. Probably both. Since the weather has been trying to move into "spring" I've started wearing my brain injury and hydrocephalus awareness shirts. Since the weather has been getting warmer, my shunt has been behaving itself. Since Wednesday, the ProGav hasn't been bothering me, no scalp pain, no shunt noises. One day this week I heard the distal catheter drain csf into my abdomen. Other than that, it's been behaving itself. As the heat outside get warmer, the humidity bothers my shunt sometimes and I can feel the heat directly from the sun on the magnet inside my head. I have to remember to wear a hat when I'm outside during these summer months. I joined an online adults with hydrocephalus support group a while ago and occasionally receive updates from group members. I also read about stories people in the group post. This week I found one which was familiar based on the television show, Face/Off. The last time I watched a few episodes was during a shunt revision stay in the hospital in 2011. Someone in the group had mentioned the March 22, 2017 episode of this show was about Frightening Families. Group 1 featured three characters from a circus trio. One of them was a child like creature with an enlarged head in a wheelchair depicted as having hydrocephalus. People in the online support group were quite upset about this depiction. I wasn't happy about it either. Especially since it doesn't represent everyone who has hydrocephalus. We know hydrocephalus affects people of various ages: infants, children and adults. Unfortunately, since hydrocephalus isn't well known, a lot of people automatically think most people with hydrocephalus are severely disabled. Many people in the support group commented on how this episode reinforces these stereotypes. I wrote a comment about this episode to Syfy. The full episode of Face/Off which aired March 22, 2017 can be found Youtube. At 31:19 - The family of creatures in the circus are introduced to the judges. A description of the episode can be found here. Today is the third year anniversary of my multiple brain injuries on March 6, 2014. For now, my shunt is behaving itself. The last few months, specifically the last weeks have been brutal in terms of pain. Especially yesterday, when it was very cold where I live, like around 15 degrees outside. The cold weather as mentioned in previous posts bothers my shunt. Today, I'm going celebrate my 2nd birthday by going to a movie and lunch. I made a film about my shunt struggles and brain injuries. Copies can be purchased here. Current profile view my shunt. Technique: AP and lateral views of the skull; AP and lateral views of the chest; AP and lateral views of the abdomen. Right frontal ventriculo-peritoneal shunt is seen coursing through the right neck soft tissues, anteriorly through the chest wall, and coiling in the pelvis. Catheter fragments in the right neck soft tissues and right abdominal wall likely represent retained shunt fragments. No evidence of fracture or kink. Saw the neurologist on Tuesday. She had brought up an interesting point during our meeting. She had told me to be mindful of my mood and how that may have an impact on my shunt and scalp pain. I hadn't thought about this before. It makes sense. The ProGav doesn't like rain, humidity, snow or extreme heat. I'll have to be mindful of my mood and certain triggers which may impact how I feel and the ProGav. Yesterday, was the first day I had relief from an intense barometric pressure headache from my shunt. I was doing really good for a little over two weeks now and then on Monday, the ProGav decided began rebelling again. As mentioned in previous posts, the device or robot inside my brain is temperamental when it comes to the weather. Someone shared a link with me this afternoon about how to deal with Barometric pressure. I know internal organs can heal themselves. The brain doesn't recover from damage. I wonder why this is. I see my neurologist next week and may ask her.